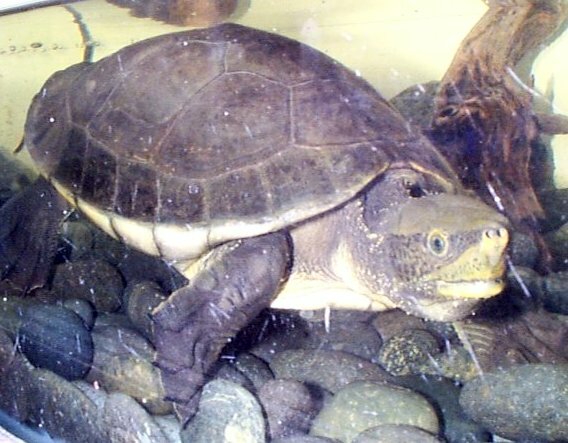 They do not bask on logs or river banks like other freshwater turtles, their webbed feet create awkward movement on land. 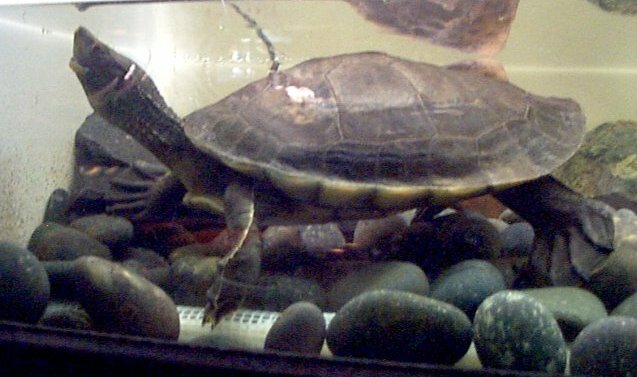 Bask by floating on the water and can stay submerged for long periods. 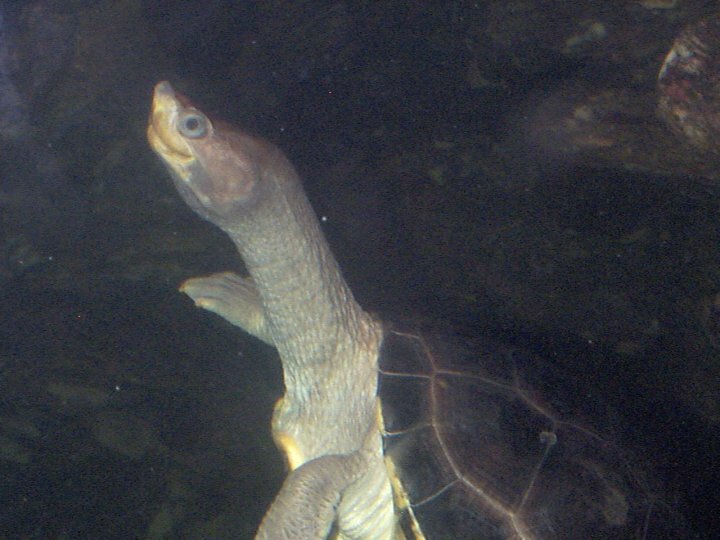 Most aquatic of freshwater turtles. They nest twice a year in the flood season, April and December, when the water level has risen. The female digs a hole in the mud ( sand and clay as well ) near the water's edge and lays her eggs there. 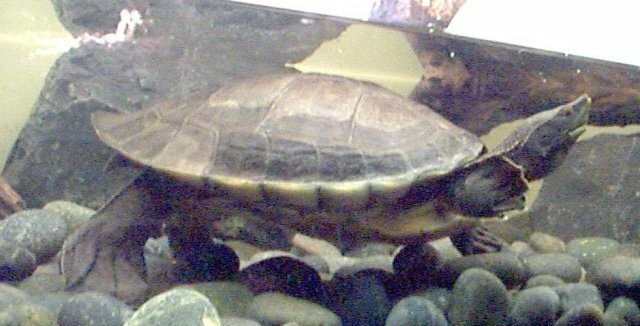 Each clutch can contain 6 to 26 hard-shelled eggs. While building the nest, the female will drink water regularly to prevent the walls from crumbiling and to ensure that they stay moist. Found in large open rivers and permanent lakes. Prefer clear water (not found in seasonal or temporary ponds). Very easy to catch . Meat and eggs are valued very highly. Hunted for food and for sport. The one I saw just laid around doing nothing. He probably was more active at night since he is nocturnal.